With more than 15 years of experience, Harvey's House Painting is owned and operated by Rich Harvey. Rich has painted hundreds of homes and businesses in his professional life and has an extensive knowledge of proper procedures and materials, providing you with the best job. With the quality materials and proper preparation, Rich knows that any paint job may be a long-lasting one. 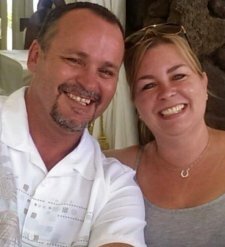 For several years, Rich operated as a prep man, only preparing homes for painting services. Over the years, he has worked as a paint journeyman, a foreman, a paint salesman and general manager of a painting company. His goal in providing affordable painting services is to make each client a customer for life. Rich enjoys assisting his customers with their needs and leaving them with quality work they can count on. Located in North Highlands, Harvey's House Painting is proud to have remained a leading painting contractor in Placer County, Sacramento County, El Dorado County and Yolo County. We are a family-owned business with small-town values of integrity, professionalism and honesty. We are in excellent standing with the Better Business Bureau. We also invite you to check us on Yelp, GOOOGLE+, and Facebook. We are affordably priced and remain competitive in our industry. Be sure to view our residential gallery and commercial gallery of previous projects. 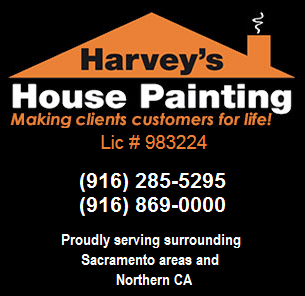 If you have any questions or we can assist you in any way, please do not hesitate to contact Harvey's House Painting at 916-285-5295.